The Ski and Snowboard Show – being held from 31 October until 3 November at Earls Court 2 in London – has booked five penguins to appear at the Show on the Wednesday, Thursday and Saturday which the organisers say will be ”frolicking in their pen and out on the ice”. In the wild, penguins spend most of their lives in the water and the complexity of these animals does not make them easy to look after. Scientific studies have shown that they require “specific temperature requirements and high air quality standards”. 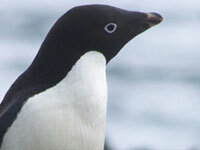 Please urge the Show’s organisers, VOS Media, to cancel the appearance of the penguins. Wild animals should not be made to perform.